Trunk radio require a license for operation at most of the country, this apply to Malaysia too. MCMC is the authority firm that issue all the trunk radio license for Malaysia user. 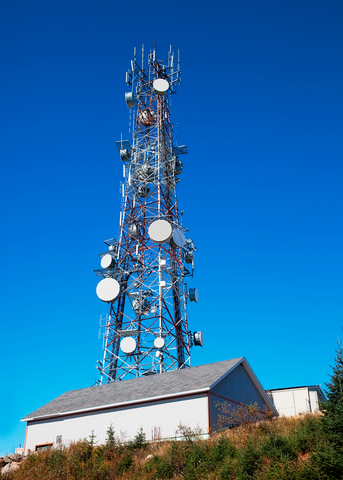 Woki Talk is a licensed network service provider for 800MHz trunk radio system in Malaysia. We have a good operation experience and support within this system for years in Malaysia and the region. 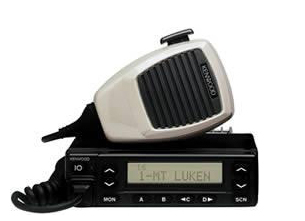 We are not only providing the system, but also with various walkie talkie accessories for user to choose for their ease of work with the trunk radio system. Trunk radio often being refer to the radio transmittal system that with complex type of control communication system. Compare to two-way radio, trunk radio is much more complex and be able to broadcast the information within difference talk group. A two way radio system is much more simple or rather straight forward. User needs tuning to dedicate frequency, and they could start communication provided they are within the transmittal signal zone. Due to the power setting for individual 2-way radio, the transmittal signal always is limited within 5-10km the most. With the support of signal transmittals control, such as repeater, a trunk radio signal is able to transmit with longer distance. Trunked radio system actually could be interpreted as a talk group is sharing a pool of frequency, whereby people within the talk group is able to communicate freely within the group without interrupting others. The more the pool signal frequency, the degree of freedom for communication is increased. Kenwood and Motorola are the 2 famous trunk radio provider in the market. In Woki Talk, we always recommend our subscriber select either brand base on their own preferences. Handset is definitely the choice for user who wants maximum mobility; Kenwood TK480 is one of the highly recommended units. On the other hand, for a fix location communication, such as the radio being installed in the car or office, users are always encourage to choose the car radio unit, such as Kenwood TK980. Our frequency pools are a registered frequency with license to use. With WOKI TALK Strategic partnership with other network service provider, this even brings our radio system to another extend. More over, currently most of the service provider is moving toward digital trunk radio system, WOKI Talk do have entire plan transition from analog to digital phase, we listen to user, understand your needs, our goal is to make sure our subscriber or user enjoy the technology improvement while not overspending for the network service. Talk to Woki Talk if you want to learn more about our network service, or trunk radio system. We provide the network service that you could rely on.